I can’t believe its already back to school time next week!Summer is over and both teachers and kids alike need a little boost to get through that first week. What better way to start the week then with a classic kid approved combination of peanut butter and jam. I don’t know about you, but I had so much chia jam leftover from last week that just needed to be used. In fact, that’s actually how a lot of my recipes come to be. I hate throwing out perfectly good ingredients, so sometimes you have to throw a few things together and cross your fingers.I bet you thats actually how jam became…jam! Peanut butter and jelly is one of the best food matches of all time. It brings most people back to the good ol’ days when peanut butter was still allowed in schools and at camps. Although most kids can’t have this delicious combination during the day, it can still be enjoyed as an after school snack. Not only will your child be able to enjoy these after school, adults will also love these as an energizing breakfast/snack/dessert. 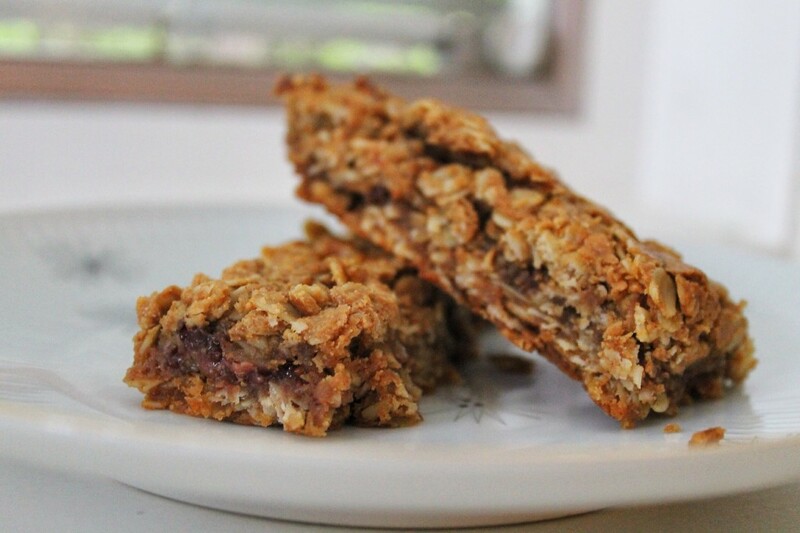 They are packed with fiber rich oats, protein packed peanut butter, and loads of omega 3s and vitamins from the chia jam! I really have been enjoying them before a work out to give me a boost of energy and a good balance of carbs, fat, and protein. 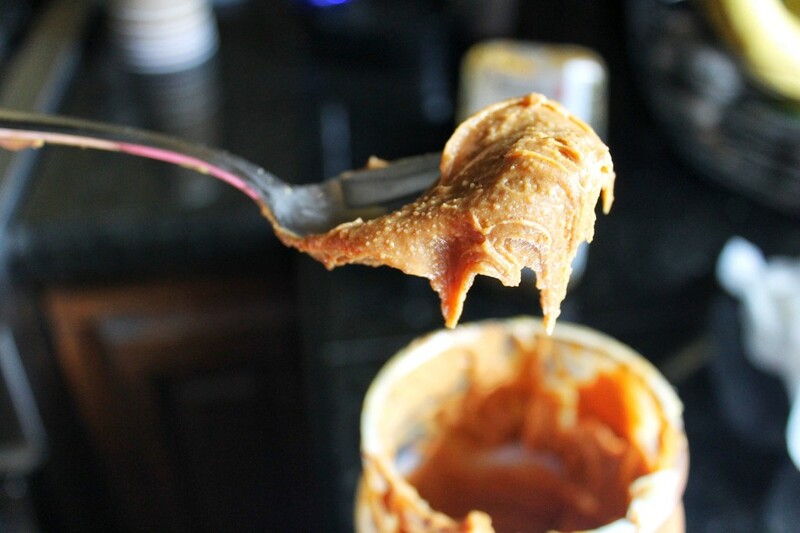 If you aren’t a big fan of peanut butter, feel free to swap out the peanut butter for any other nut butter. 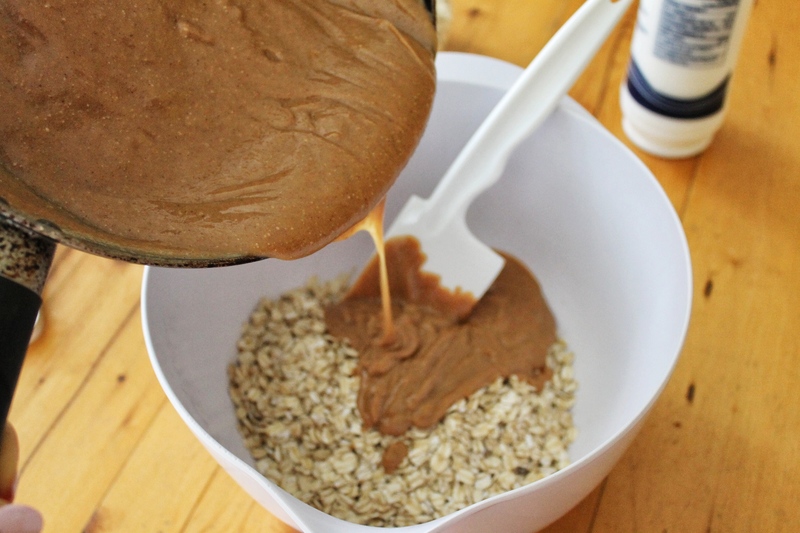 I am sure my Maple Cinnamon Almond Butter would taste ammmmazzzing! 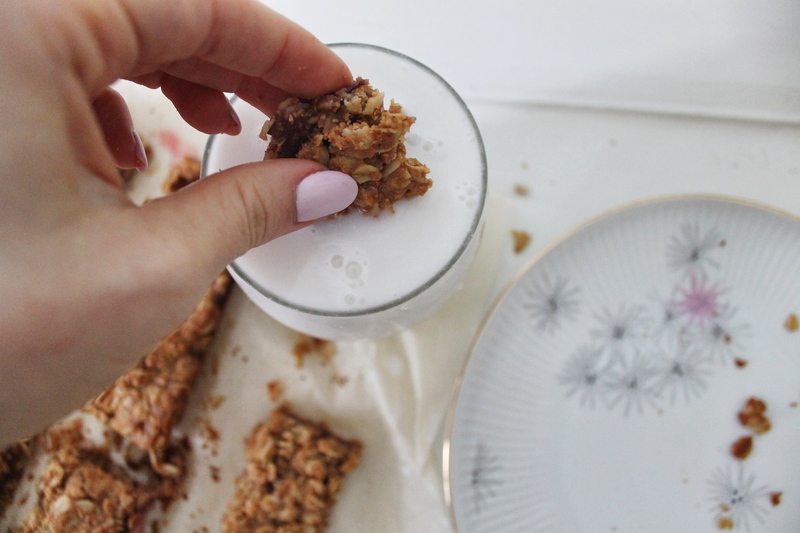 As always, these granola bars are gluten free (so long as you use certified gluten free oats), dairy free and refined sugar free! For you vegans, feel free to use only maple syrup instead of honey! These take only about 5 minutes to prepare and use ingredients most of us have lying around. If you haven’t made my chia jam, store bought jam will be fine. Keep an eye out for sugar content and absolutely do NOT buy sugar free jam. I like to buy jams that are sweetened with natural fruit juice. These can be found at most health food stores. Bon appetit! 1. Preheat oven to 350°F. Line a 9 inch baking dish with parchment. 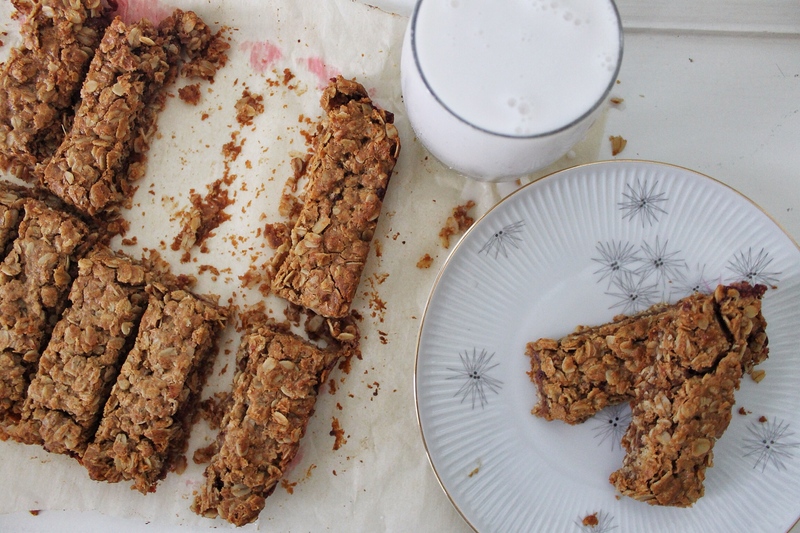 In a medium sized bowl, combine oats, salt and flaxseed. 2. 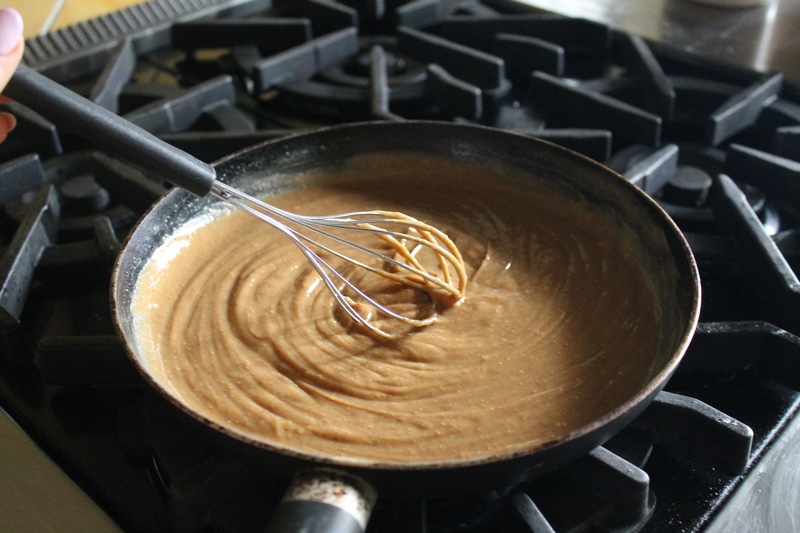 In a small saucepan on medium heat whisk coconut oil, peanut butter, vanilla honey and maple syrup until combined. 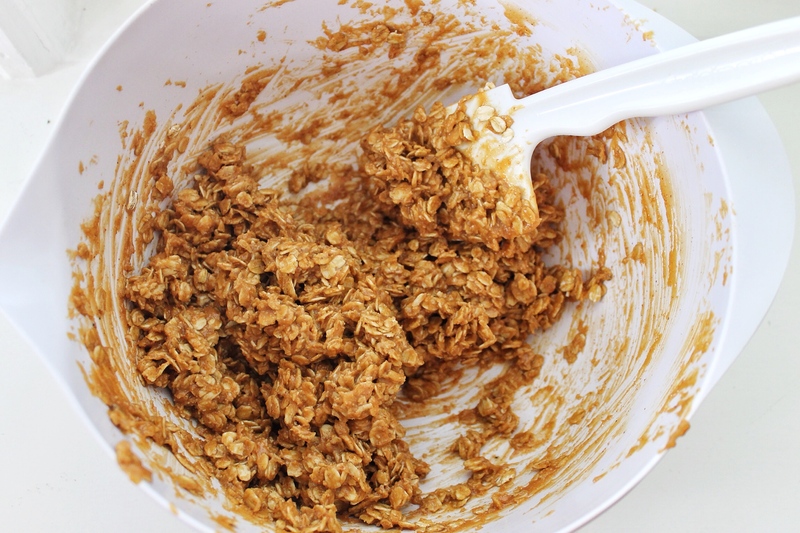 Pour over oats and stir until evenly distributed. 3. 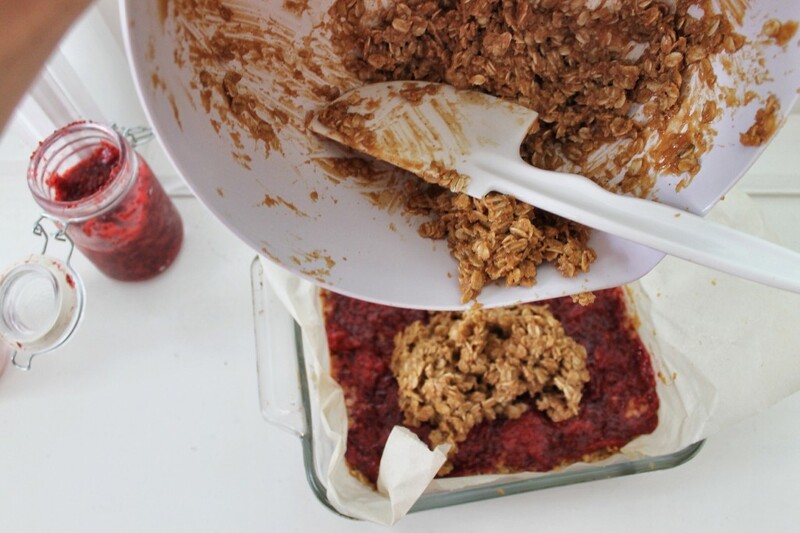 Press half of the batter into the prepared baking dish. 4. 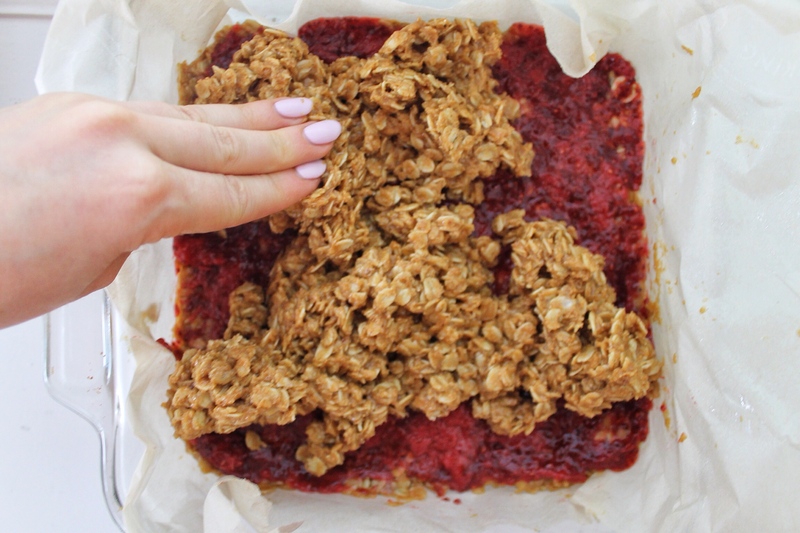 Spread the chia jam evenly across the pressed batter.